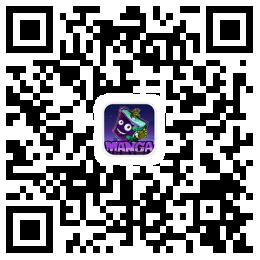 From ShoujoMagic: This book is a collection of steamy stories! Story 1) I Want to Be Bound by You Ayuna comes to visit her brother at the hotel where he works, but a case of mistaken identity leads her into the royal suite and the arms of Takano, a handsome young businessman. He’s Daidou Corporation’s ruthless behind-the-scenes manipulator who handles all of its dirty work. Nothing gives him more pleasure than corrupting that which is pure, and... Ayuna is pure. Story 2) Steal My Body Away/ Your Heart, Your Person Terumi and Kazu have been sleeping together at hotels, but the relationship is entirely physical. Can it be called love? This is when Terumi suddenly meets Kyuuji, an intense young stranger who boldly uses her to escape a fight. Because she takes offense, Kyuuji then pursues the fight to appease her. He steals Terumi’s heart away, but will the jilted Kazu allow Kyuuji to steal Terumi’s body? Story 3) The Devil’s Mask Natsuki is content in her relationship with Showa, a boy in her tennis club. That’s why she despises herself for drinking too much at a party one night and sleeping with the student body president, Kazuomi. He’s a devil and a genius who publicly wears an angel’s mask, and he tells Natsuki that if she doesn’t want her boyfriend to know about her drunken infidelity, then she’ll continue sleeping with him in secret. The secret is in danger of being exposed, however, when Kazuomi joins the tennis club. No, not that secret -- Natsuki’s OTHER secret. Story 4) Painful Love Everyone is a little afraid of Ryuuichirou. He’s a gang leader who hangs out in an alley that Norika passes through each day to get to work. Norika is attracted to his dangerous aura and the gentility he displays towards her, but a painful past haunts him that has the potential to be both spiritually and physically painful to Norika.